Whether you run your own small business or work in an HR department, if you’re involved in hiring at all, you've probably heard the term "boomerang candidate” recently. As the name implies, a boomerang candidate is someone who has applied to work for a former employer. The typical boomerang candidate wasn’t fired for performance issues or personality clashes – they likely left their previous position under good terms. Whether they left to pursue a more exciting opportunity, went on earn a degree, or to make more money, they're ready to become a member of the team again. The question is, how do you go about interviewing them? Laying the groundwork for interviewing a boomerang candidate starts before the candidate even leaves your company. It’s always wise to conduct thorough exit interviews with outgoing employees – and it’s even more important if you’d ever consider rehiring them in the future. Exit interviews are a great way to delve into the issues that may have prompted the person to leave, and that’s especially valuable if he comes back to work for you again. Before interviewing a boomerang candidate, review the notes from his exit interview. They should contain helpful information about the circumstances around his departure that can be followed up on during the new interview. 2. Do you really need to interview a boomerang candidate? If a former employee is interested in coming back to your company, do you really need to bother interviewing her in the first place? After all, you already know her, and you should have a decent idea about the quality of her work, her capabilities, and her fit with your company. The short answer is yes, you do still need to interview boomerang candidates. Things can change fast, on both ends. Whether the employee left a few months or a few years ago, it’s likely that her skill set, experience, and even disposition have changed. Certainly, so has your business – its operations, its internal processes, and maybe even its culture. Even if she was formerly a star employee, there's no way to tell if the candidate is still a good fit without at least an introductory interview. Some employees leave a company for purely external reasons, and there were no underlying issues at play. But if your boomerang candidate expressed concerns about anything during her exit interview, or if current employees have since opened up about potential issues, it's crucial to bring them up during the interview. The goal here is to find out whether old issues will creep back into the picture to affect the boomerang candidate's abilities. If he had issues with the company, he’ll want to be assured that those issues have since been resolved. And if you have any concerns about the employee’s performance or fit, you need to bring those up, too. It’s a good way to minimize the risk of the boomerang candidate leaving again, as quickly as he was rehired. Even though you've worked with the boomerang candidate in the past, do your best to treat her like an entirely new candidate. This doesn't mean that you should pretend you don't know her – that would be rude, not to mention make for a very awkward interview. You should treat the interview and evaluate the candidate like you would any other. At the start of the interview, tell the candidate that, for the purposes of the interview, you’ll be adopting a more formal tone. This will keep the exchange from becoming too chummy, which could steer the interview off course and make it difficult to make an unbiased decision. It’s also important in ensuring that each candidate gets equal and fair treatment during the interview process. It’s likely that the boomerang candidate has gained skills and professional experience during his time away from your company, and those new skills could be incredibly beneficial for your company. On the other hand, he may have had issues at his most recent place of work that could make you think twice about rehiring him. Make sure you delve into the candidate’s work since he left to get a better idea. Throughout the course of the interview, ask questions about what the boomerang candidate has been doing since leaving your company. This is a great way to determine whether the person really wants to come back because he's enthusiastic about your company, or if whatever lured him away didn't pan out. It’s also a great way to find out exactly what the candidate is bringing back to the organization, whether it’s advanced skills, new certifications, or competitive knowledge. Assuming the interview goes well and you decide to re-hire your boomerang candidate, there are several things you can do to ensure a smooth transition. First, immediately inform current employees of the impending return of the former employee. Be direct in stating that the decision is final, but let employees express themselves regarding the situation. Second, if the boomerang candidate will be assuming a new role or has been gone for some time, it may be necessary to retrain him. Don't assume that she will hit the ground running, just because she worked there before. Finally, check in with the rehired employee regularly to ensure that the transition is going as seamlessly as possible. And when employees leave in the future, don’t burn those bridges – especially if they’re valuable to your organization. Instead, think of them more as alumni of your organization. At some point, they may come back. If and when they do, be sure to have a formal process in place for interviewing and rehiring them. 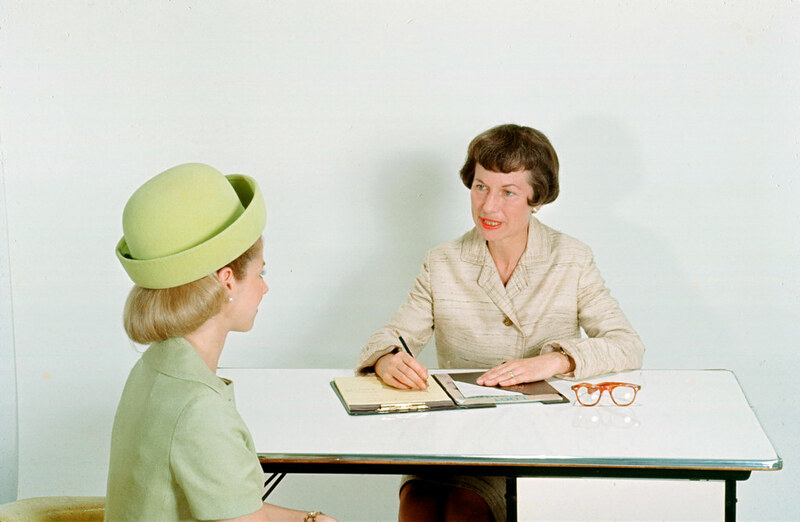 Have you ever interviewed or hired a former employee? What was your experience? Share them with us in the comments or tweet us @Entelo and @Talent_Tribune! Don't forget to check out our eBook on building your employee referral program to make more cost-effective hires! Abby Perkins is a copywriter, blogger and Managing Editor at Talent Tribune, a SoftwareProviders.com blog dedicated to all things HR. When she's not reading or playing with her dog, she likes to write about human resources and workplace trends and technology. Want to contact Abby? Send comments, questions, or pictures of cute animals to abby@softwareproviders.com.